DIN 1041. Quality tool with double cambered 3-component ULTRATEC-shaft. 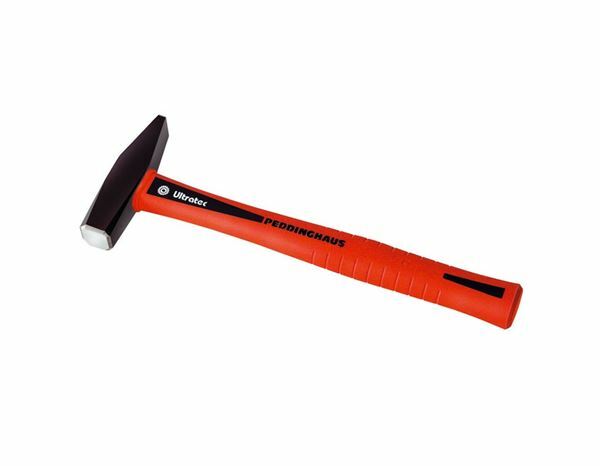 Characteristics of ULTRATEC: unbreakable fibre glass core rod insulator, ergonomically shaped supporting level made of polypropylene, elastomer coated slip proof handle, hammer head is made of quality steel with the rating C45/DIN 17200. Carefully hardened and tempered. Hammer head: black powder coating.